Year 1960 (MCMLX) was a leap year starting on Friday (link will display the full calendar) of the Gregorian calendar. It was the first year of the 1960s and is also known as the "Year of Africa". January 9–January 11 – Aswan High Dam construction begins in Egypt. January 10 – British Prime Minister Harold Macmillan makes the Wind of Change speech for the first time (see February 3). January 21 – A mine collapses at Coalbrook, South Africa, killing 500 miners. February 1 – In Greensboro, North Carolina, four black students from North Carolina Agricultural and Technical State University begin a sit-in at a segregated Woolworth's lunch counter. Although they are refused service, they are allowed to stay at the counter. The event triggers many similar nonviolent protests throughout the Southern United States, and six months later the original four protesters are served lunch at the same counter. February 3 – Prime Minister of the United Kingdom Harold Macmillan makes the Wind of Change speech to the South African Parliament in Cape Town (although he had first made the speech, to little publicity, in Accra, Gold Coast – now Ghana – on January 10). The N class blimp ZPG-3W of the U.S. Navy is destroyed during a storm over Massachusetts. February 13 – France tests its first atomic bomb - in the Sahara Desert of Algeria. February 18 – The 1960 Winter Olympic Games begin at the Squaw Valley Ski Resort, in Placer County, California. February 26 – A New York bound Alitalia airliner crashes into a cemetery at Shannon, Ireland, shortly after takeoff, killing 34 of the 52 persons on board. February 29 – The 1960 Agadir earthquake completely destroys the town of Agadir, Morocco. March 3 – Elvis Presley returns home from Germany, after being away on duty for 2 years. March 5 – Alberto Korda takes his iconic photograph of Che Guevara, Guerrillero Heroico, in Havana. March 17 – Northwest Airlines Flight 710 crashes near Tell City, Indiana, killing all 63 on board. March 22 – Arthur Leonard Schawlow & Charles Hard Townes receive the first patent for a laser. March 29 – Tom Pillibi by Jacqueline Boyer (music by André Popp, text by Pierre Cour) wins the Eurovision Song Contest 1960 for France. April 16 – The gunman David Pratt shoots South African Prime Minister Henrik Verwoerd in Johannesburg, wounding him seriously. April 17 – Russwood Park, a baseball stadium in Memphis, Tennessee, burns to the ground from a fire shortly after a Chicago White Sox versus Cleveland Indians Major League Baseball game. April 19 – April Revolution: South Korean students hold a nationwide pro-democracy protest against President Syngman Rhee. Thus eventually leads him to resign from that office. Several Soviet surface-to-air missiles shoot down an American Lockheed U-2 spy plane. Its pilot, Francis Gary Powers, of the Central Intelligence Agency is captured. European Free Trade Association (EFTA) established. The Fantasticks, the world's longest-running musical, opens at New York City's Sullivan Street Playhouse where it will play for 42 years. West German refugee minister Theodor Oberländer is fired because of his past with Nazi Germany. A.J. Liebling promulgates Liebling's Law in The New Yorker magazine: "Freedom of the press is guaranteed only to those who own one." May 6 – President of the United States Dwight D. Eisenhower signs the Civil Rights Act of 1960 into law. May 10 – The nuclear submarine USS Triton, under the command of Captain Edward L. Beach, Jr., completes the first underwater circumnavigation of the Earth codenamed Operation Sandblast. May 11 – In Buenos Aires, four Mossad agents abduct the fugitive Nazi criminal against humanity, Adolf Eichmann, in order that he could be taken to Israel and put on trial. Eichmann was later convicted and executed. May 13 – A joint Swiss & Austrian expedition makes the first ascent of the Asian mountain, Dhaulagiri, the world's 7th highest mountain. May 22 – The Great Chilean Earthquake: Chile's subduction fault ruptures from Talcahuano to Taitao Peninsula, causing the most powerful earthquake on record (with a magnitude of 9.5) and a tsunami. Because of its power, the seismographs in the city of Valdivia are overloaded and malfunction through the entire earthquake. May 27 – In Turkey, a bloodless military coup d'état removes President Celal Bayar and installs General Cemal Gürsel the as head of state. June 9 – Typhoon Mary kills 1,600 people in China. June 19 – The Associated Broadcasting Company (now TV5) is founded in the Philippines. June 20 – The short-lived Mali Federation, consisting of the Sudanese Republic (now the Republic of Mali) and Senegal, gains independence from France. June 23 – The Japanese prime minister, Nobusuke Kishi, announces his resignation. June 24 – Joseph Kasavubu is elected as the first President of the independent Congo. British Somaliland receives its independence from the United Kingdom. Five days later, it unites with Somalia (the former Italian Somaliland) to create the Somalia. The Belgian Congo receives its independence from Belgium as the Republic of the Congo (Léopoldville). A civil war followed closely on the heels of this. Public demonstrations by democratic and left forces, against Italian government support of the post-fascist Italian Social Movement, are heavily suppressed by police. Italian Somaliland gains its independence from Italy, 5 days after British Somaliland, with which it unites to form the Somali Republic. July 4 – Following the admission of the State of Hawaii as the 50th state in August 1959, the new 50-star Flag of the United States is first officially flown over Philadelphia, Pennsylvania. Moise Tshombe declares the Congolese province of Katanga independent. He requests and receives help from Belgium. the 1960 Democratic National Convention in Los Angeles. July 20 – Ceylon elects Mrs Sirimavo Bandaranaike as its Prime Minister, the world's first elected female head of government. She takes office the following day. July 25–July 28 – In Chicago, the 1960 Republican National Convention nominates Vice-President Richard Nixon as its candidate for President of the United States, and Henry Cabot Lodge, Jr., as its candidate to become the new Vice-President. In the Republic of the Congo (Léopoldville), now the Democratic Republic of the Congo, Albert Kalonji declares the independence of the "Autonomous State of South Kasai". August 7 – The Côte d'Ivoire (the Ivory Coast) becomes independent from France. August 13 – Ubangi-Shari becomes independent from France, as the "Central African Republic". It later becomes the "Central African Empire" for some years. August 15 – Middle Congo becomes independent from France, as Republic of Congo (Congo-Brazzaville). Joseph Kittinger parachutes from a balloon over New Mexico at an aititude of about 102,800 feet (31,333 meters). Kittinger set unbeaten (as of 2012) world records for: high-altitude jump; free-fall by falling 16.0 miles (25.7 kilometers) before opening his parachute; and the fastest speed attained by a human being without mechanical or chemical assistance, about 982 k.p.h (614 m.p.h.). Kittinger survived more or less uninjured, and he is still alive in Florida as of 2012. The newly-named band, the Beatles begin a 48-night series of performances at the Indra Club in Hamburg, Germany. The trial of the American U - 2 pilot Francis Gary Powers begins in Moscow. 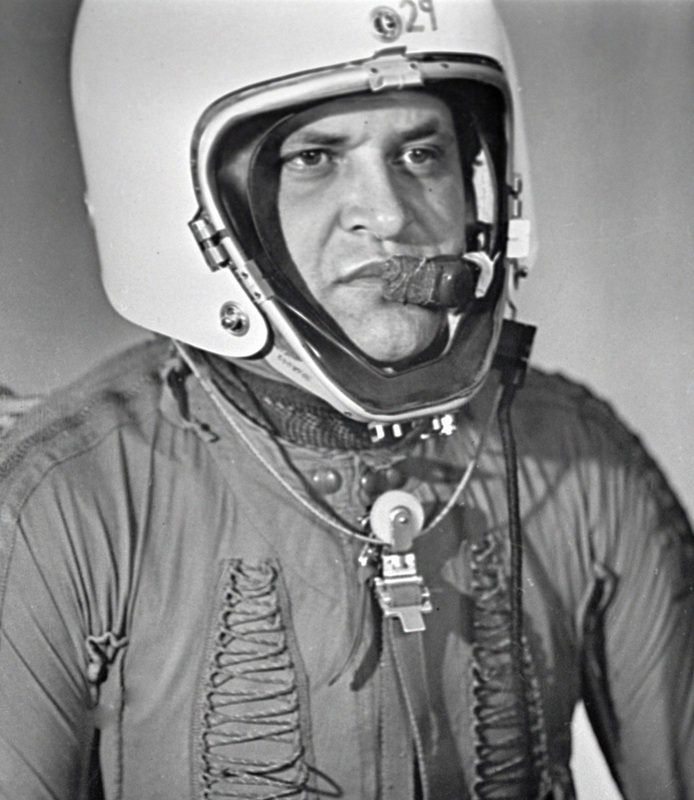 Cold War: In Moscow, the American U - 2 pilot Francis Gary Powers is sentenced to 10 years in prison for espionage. The 1960 Summer Olympic Games begin in Rome. The American nuclear submarine USS Seadragon (SSN-584) surfaced through the arctic ice cap at the North Pole, the first submarine ever to do so. 1960 Summer Olympic Games: Cassius Clay wins the gold medal in light-heavyweight boxing. The Congolese president, Joseph Kasavubu, fires Patrice Lumumba's entire government, and also places Lumumba under house arrest. September 8 – In Huntsville, Alabama, U.S. President Dwight D. Eisenhower formally dedicates the Marshall Space Flight Center (which had been activated by NASA on July 1). September 26 – The leading candidates for President of the United States, Richard Nixon and John F. Kennedy, made the first televised debate. October 1 – Nigeria becomes independent from United Kingdom, and Nnamdi Azikiwe becomes its first native-born Governor General. Cameroon declared independence from United Kingdom. October 3 – Jânio Quadros is elected the President of Brazil for a five-year term. Otoya Yamaguchi assassinates Inejiro Asanuma, the chairman of the Japanese Socialist Party. October 13 – The Pittsburgh Pirates won the 1960 World Series of baseball in Game 7, on a home run hit by Bill Mazeroski for a 10–9 victory over the New York Yankees. It was the first time in the history of the Series that a homer had won the championship. October 14 – Presidential candidate John F. Kennedy first suggests the idea for the Peace Corps of the United States. October 24 – A large rocket explodes on the launch pad at the Baikonur Cosmodrome, killing at least 90 people of the Soviet space program. October 26 – Robert F. Kennedy telephones Coretta Scott King, the wife of Dr. Martin Luther King, Jr., and he also secures King's release from jail regarding a traffic violation in Atlanta, Georgia, U.S..
October 30 – Dr. Michael Woodruff carries out the first successful kidney transplant in the United Kingdom, in Edinburgh, Scotland, at the Edinburgh Royal Infirmary. November 2 – Penguin Books is found not guilty of obscenity in the case of D. H. Lawrence's novel Lady Chatterley's Lover. November 8 – United States presidential election, 1960: In a close race, John F. Kennedy is elected over Richard Nixon, to become (at 43) the second youngest man to serve at the President of the United States, and the youngest man elected to this position. November 13 – Sammy Davis, Jr., marries the Swedish actress May Britt. A collision between two trains in Pardubice, Czechoslovakia, kills 117 people. December – African and Malagasy Organisation for Economic Cooperation (OAMCE) (Organisation Africain et Malagache de Coopération Économique) is established. Patrice Lumumba, the deposed premier of the Republic of the Congo, is arrested by the troops of Colonel Joseph Mobutu. December 4 – The admission of Mauritania to the United Nations vetoed by the Soviet Union for inscrutable reasons. Pierre Lagaillarde, who led the insurrections in 1958 and 1960 in Algeria, fails to appear in court in Paris, France. He had reportedly fled with his four fellow defendants to Spain en route to return to Algeria. Boynton v. Virginia: The Supreme Court declares that segregation in public transportation is illegal in the United States. December 7 – The United Nations Security Council is called into session by the Soviet Union in order to consider Soviet demands for the Security Council to seek the immediate release of the former Congolese Premier Patrice Lumumba. December 8 – For the first time, the Mary Martin Peter Pan is presented as a stand-alone two-hour special on NBC instead of as part of an anthology series. This version, rather than being presented live, is shown on videotape, enabling NBC to repeat it as often as they wish without having to restage it. Although nearly all of the adult actors repeat their original Broadway roles, all of the original children have, ironically, outgrown their roles and are replaced by new actors. French President Charles de Gaulle's visit to Algeria is bloodied by European and Muslim rioters in Algeria's largest cities. These riots caused 127 deaths. The first episode of the classic British TV series Coronation Street is broadcast. Planned as a 13-part drama, it becomes such a success among viewers that it is still shown five times per week. December 12 – The Supreme Court of the United States upholds a lower Federal Court ruling that the State of Louisiana's laws on racial segregation laws are unconstitutional, and overturns them. While Emperor Haile Selassie I of Ethiopia visits Brazil, his Imperial Bodyguard leads a military coup against his rule, proclaiming that the emperor's son, Crown Prince Asfa Wossen, is the new emperor. The U.S. Navy's Commander Leroy Heath (the pilot) and Lieutenant Larry Monroe (the bombardier/navigator) establish a world flight-altitude record of 91,450 feet (27,874 m), with payload, in an A-5 Vigilante twinjet bomber carrying a 1,000 kilogram payload, and they better the previous world record by over four miles (6 km). December 14 – Antoine Gizenga proclaims in Republic of the Congo, that he has taken over as the premier. King Mahendra of Nepal deposes the democratic government there and he takes direct control himself. King Baudouin of Belgium marries Doña Fabiola de Mora y Aragon. New York air disaster: a United Airlines DC-8 collides in mid-air with a TWA Lockheed Constellation over Staten Island in New York City. All 128 passengers and crewmembers on the two airliners, and six people on the ground, are killed. December 17 – Troops loyal to Emperor Haile Selassie I in Ethiopia overcome the coup that began on December 13, returning the reins to the Emperor upon his return from a trip to Brazil. The Emperor absolves his own son of any guilt. December 19 – Fire sweeps through the USS Constellation, to become the U.S. Navy's largest aircraft carrier, while she is under construction at the Brooklyn Navy Yard. 50 workers are killed and 150 are injured. Beginning in 1959, Argentina suffers economic recession. January 21 - Toxey Haas, American entrepreneur, founder of Haas Outdoors, Inc. This page uses content from the English language Wikipedia. The original content was at 1960. The list of authors can be seen in the page history. As with this Familypedia wiki, the content of Wikipedia is available under the Creative Commons License. 45 people were married in 1960. There were 0 military battles in 1960.